Are you interested in volunteering for Yarmouth Cares About Neighbors (YCAN)? 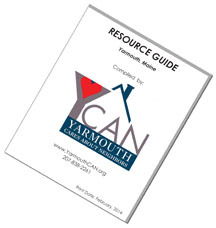 Call YCAN at 207-838-2261 or email us (ycan@ycan.info) with details about ways in which you would like to help meet the needs of the Yarmouth, Maine community. You are also welcome to attend our meetings at any time. Our next meeting’s date, time, and location are listed on the left side of this page, below the menu and above the bright red “Donate” heart. The Rides Program is looking for volunteer drivers to take people who cannot drive to local shopping areas, banks, the YMCA, medical appointments, etc. If you are interested, please contact Jean Rafford by phone at (207) 329-7295 or via e-mail at jeanrafford@gmail.com. Meals on Wheels is looking for volunteers to deliver meals to housebound clients in Yarmouth, Falmouth, Cumberland, North Yarmouth, and Freeport. Volunteers use their own vehicle (mileage is reimbursed) to deliver meals each week for an hour-and-a-half. If interested, please contact Meals on Wheels between 9 a.m. and 1 p.m. at 846-6693. For the most current service needs, please contact YCAN at 207-838-2261.